Just a couple of photos of my models. The shield generator is a 3D printed model from an undisclosed source. 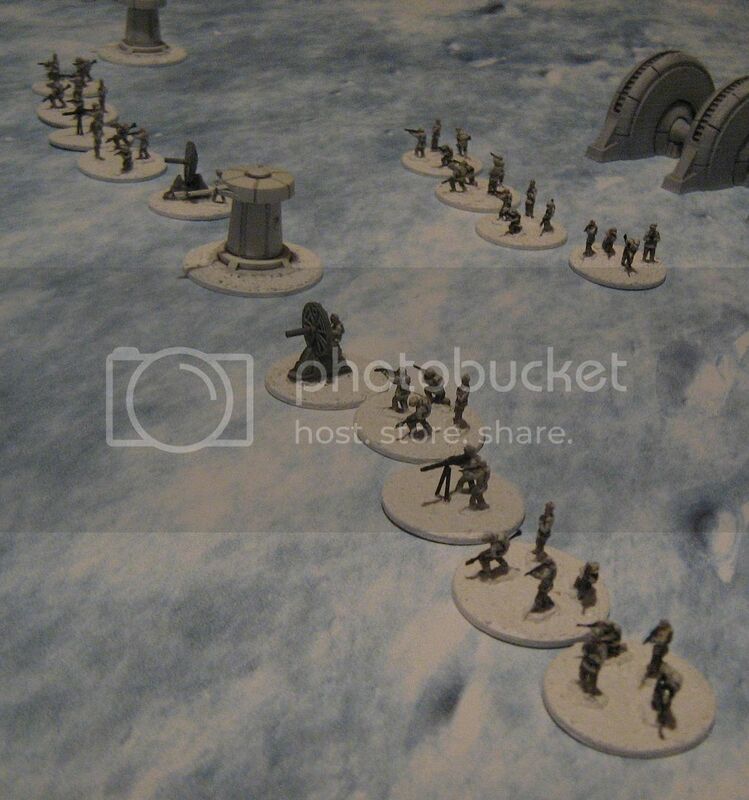 are all these from the Battle of Hoth action scene kit? 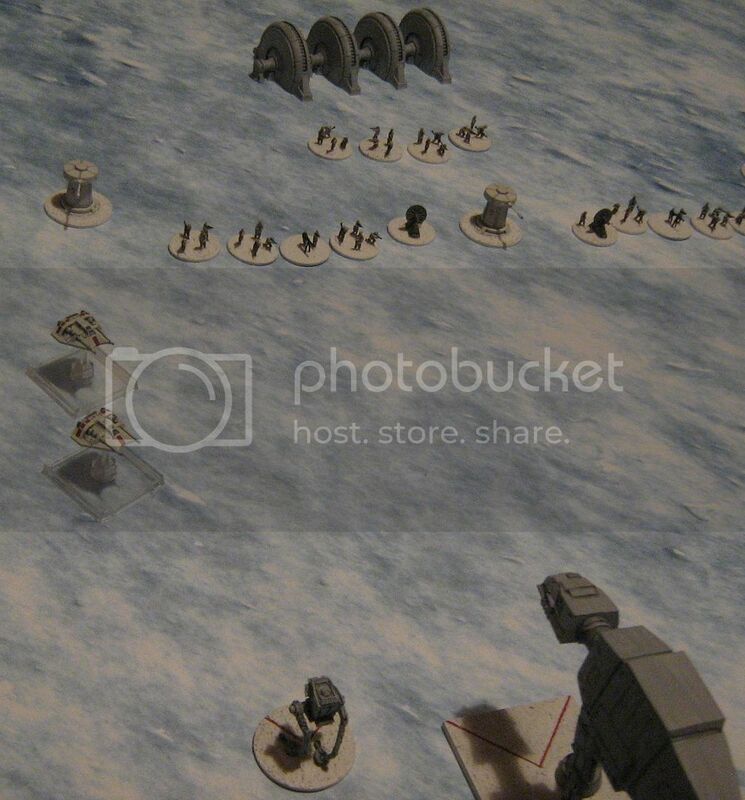 All except the AT-STs which are Micro Machines. The Rebel blaster teams are conversions. Great job there.... I'm feeling chills just looking at it! It is always nice to see great 3D models and terrain. May I ask if the bases used are the same dimensions in our rules or did you already have these made up? They look pretty close to what we have suggested. Have you playtested any scenarios or made up your own rules for things, ie: trenches? While looking for deals for x wing miniatures on eBay I bumped into the eBay store of chopperboydan, another frequent user of this forum. He has put all his 6mm Star Wars models on sale. I was immediately hooked and bought some of his models. Only then I came with the idea of creating some scenery. And while googling for more ideas, I bumped into this forum. As for the rules, I play x wing with my 10 and 12 year old sons, who both have no thorough knowledge of English either. So I’m going to keep things very simple and straightforward. My major concern is balance and proportions. An AT AT should be strong and powerful but slow and cumbersome. The snow speeder should almost be the opposite. But still they both should stand a chance against each other. I’m currently looking at all kinds of rulesets: the ground assault rules, the ‘x-wing on Endor’ rules from beastofwar.com, but also other non-star wars wargames like Flames of War or Epic Armageddon. Especially the combined arms approach is challenging. How to mix ground and air troops without overcomplicating things especially during movement. I was even thinking of adding a sheet of plexiglass some 20 cm above the gameboard for the aircraft. Our rules are certainly simpler than Flames of War but were inspired in some way by these rules as I have been playing these ever since it started (my local gaming group was one of the first in the world to use it as I am based in New Zealand! Infantry can "Go To Ground" (use a Take Cover order) and gain a concealment benefit if they do not move. They can suffer "pins" that can force them to make "morale" checks. 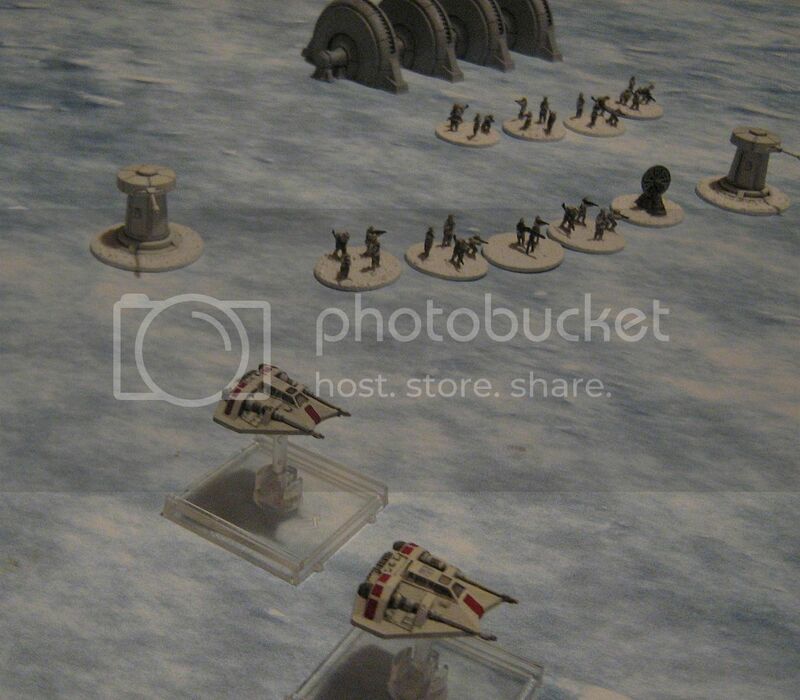 The dice mechanics are still based on the X-Wing system and therefore do blend well with ship vs ship combat. You should try the 3 introductory scenarios in the rules as these will take you through the basics of infantry vs infantry, turrets vs walkers and then ships vs ground units. AT-ATs are very strong with the Armor rules allowing it to ignore 2 regular damage per attack. Only criticals bypass Armor as well as damage from missiles and torpedoes. I have seen the beastsofwar demos and although they did a fantastic job of the scenery I feel their rules are not very accurate representations of the walkers. Having a very narrow fire arc is just odd as these have heads that can swivel. Our rules are much better at representing these walkers if I am being totally honest! The idea of a flying zone is brilliant! I saw a demo game based on Rogue One with a "atmospheric" flying zone and a "high orbit" zone where the "space gate" was. This certainly prevents bumping issues but I guess while ships are in atmosphere they do not engage ground units directly and must drop down to ground level to do this.... unless they have bombs!